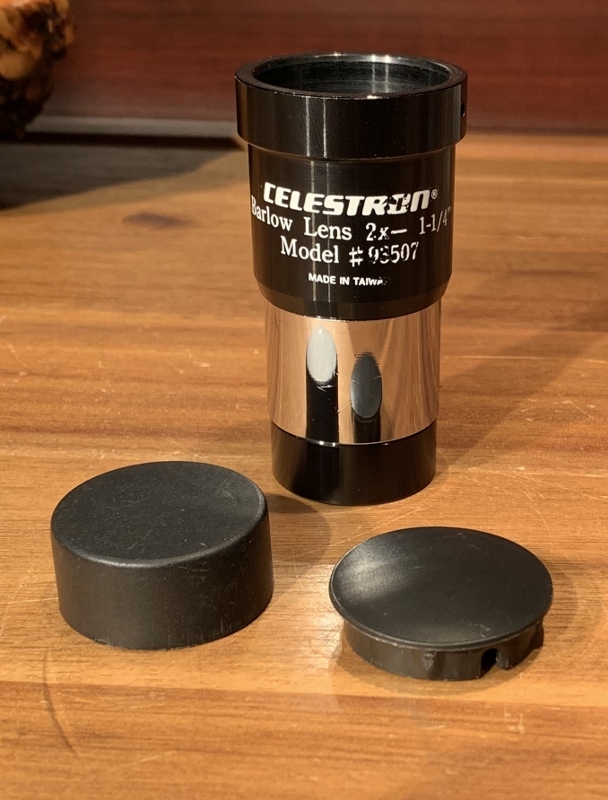 Celestron 1.25" 2x shorty style barlow w caps 1997 Sold! 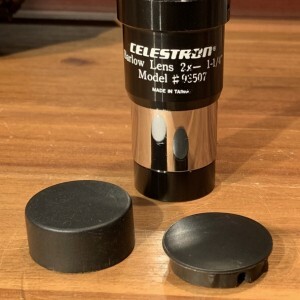 This 1997 Celestron 1.25-inch 2x barlow will come with both its original caps. It is missing its original set screw. 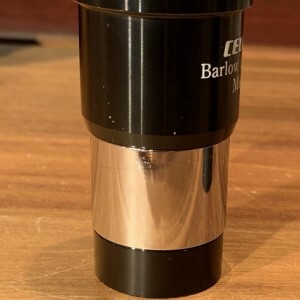 These barlows are an exact duplicate of the early generation Orion Shorty 2x barlows; both of them having doublet, fully coated lenses and coming from Taiwan. 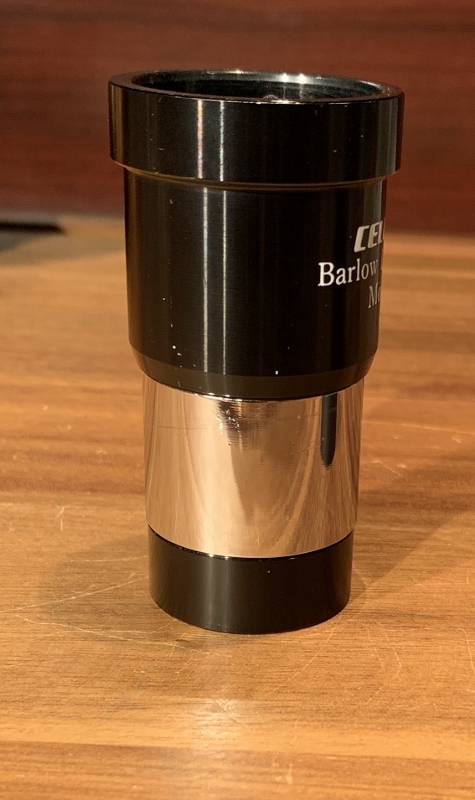 This barlow stands only 2.88-inches tall and weighs just under 3 ounces; so not a bear to use on small refractors or most reflectors with limited focus draw. 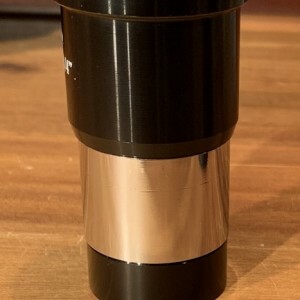 It is handsomely-dressed in solid milled aluminum and brass and feels of excellent quality when held. This generation of the Taiwan barlows with the bold, white painted characters is from the 1995-1999 years and will match with the Kellners and Orthos of the same years; though the orthos will be from Vixen of Japan. 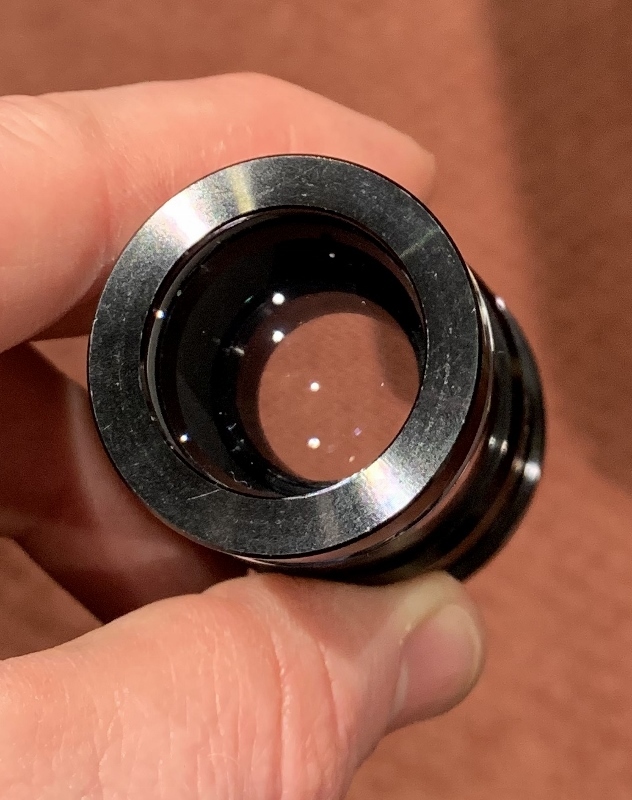 Like the Orion Shorty, I have no qualms to state; it is simply a very well put together, full-aperture barlow that has always served beyond its price tag. If my Ultima barlow is not handy, this is the next one I grab for. 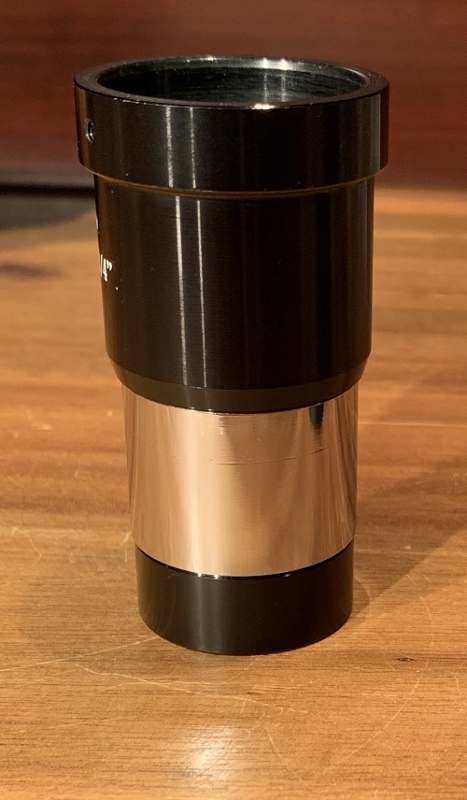 Does everything I need it to do with my plossls, kellners, and MAs in many of my medium schmidts and 60mm-90mm refractors. 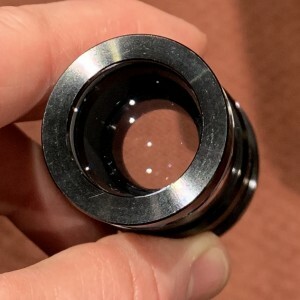 Cosmetics are excellent on the lower cell housing and chrome waist, great on the upper black body, great, but not excellent, on the painted characters (there is breakage), and the optics are solid excellent, almost very excellent and there are NO dust or fungus issues whatsoever. Ready to be put right to work straight outta the box! Price doesn't include shipping. Happy to ship to anyone anywhere.